Preheat broiler. Place one tablespoon of the fudge on the back of a long-handled spoon and smear on the inside of a tall glass. Transfer to the freezer. 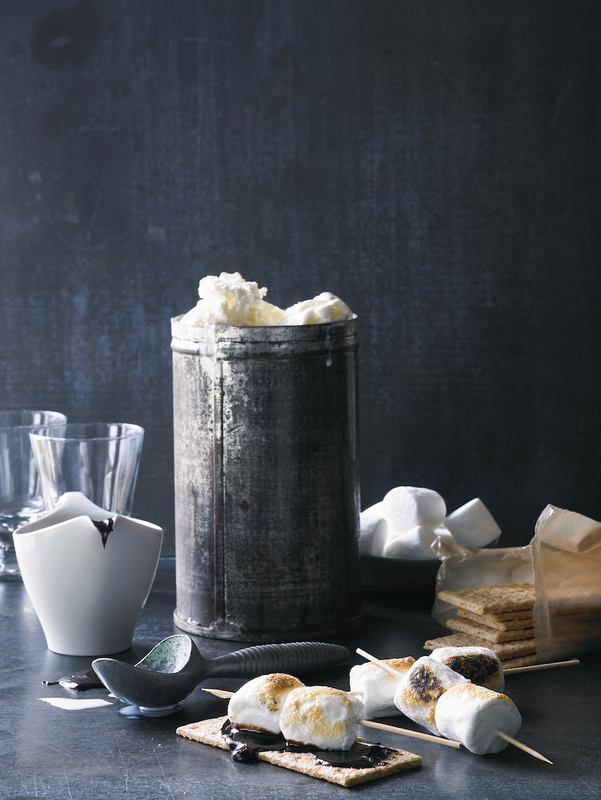 Place the marshmallows on a sheet pan and broil 1 to 2 minutes, or until nicely browned; set aside. Beat the cream in a small bowl until light and fluffy; set aside. Place 1½ graham crackers in a blender and pulse until crumbled. Add 3 scoops of ice cream, milk and 5 toasted marshmallows and blend until smooth. Pour into the chilled glass and top with the remaining ice cream and whipped cream. Smear the remaining ½ graham cracker with the remaining fudge, top with the remaining toasted marshmallow, and place on top.